Its being on Android and now on IOS .Very interested with some nice touches. Looks interesting, for sure. I'm liking the small footprint and price. The specs look good, too. If anyone decides to jump in, please let us know how much space the IAP occupies. Well that's interesting. 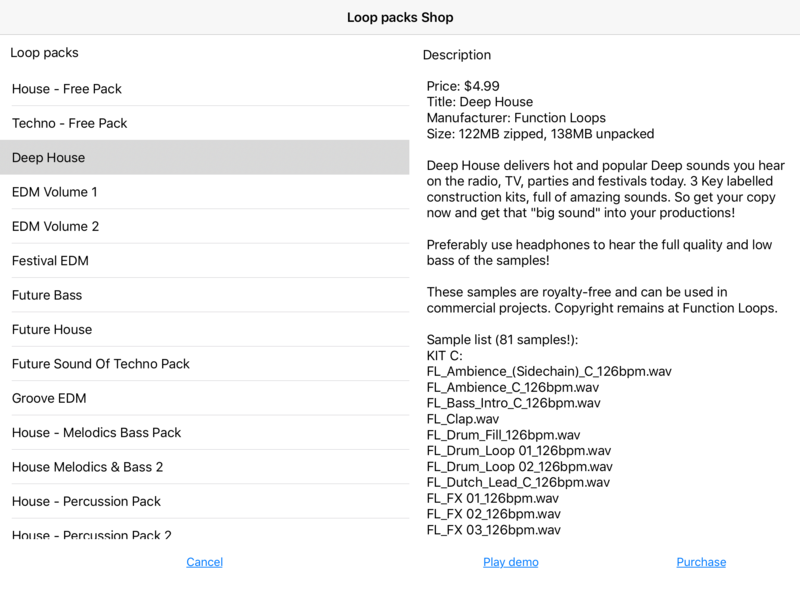 I like the freemium model where you can actually try the entire DAW for free but with only 3 tracks. I cannot get Dhalang MG, Analog SynthX (for example to open w/out preload error), most do open just fine. Maybe someone else can confirm. I did clear the project, and then load a new blank one w/ same result several times. Apologies if I'm incorrect. @Ocsprey Thanks for the info. I didn't realize there was so much IAP! 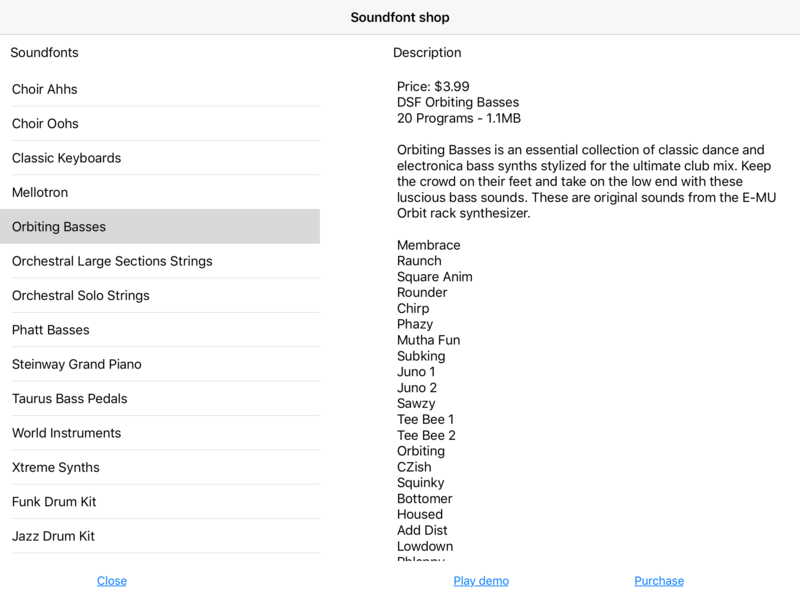 Your screenshots show that they tell you the size of individual soundfont/loops selection unpacked, so that's helpful. I'm was curious to know what the total install size shows for the app in Settings > General > Storage. I know nothing of this baby. From your initial look what's your impression as to added value? Especially if one already has C and AP etc? At present AE has nothing feature-wise on C and AP (or MTS, BM2) except price. Having said that, its amazingly full-featured for the price, and a real bargain. It's not yet fully stable, but when it's sorted, i think it will fill a gap left by pricier DAWs. Ah, the download was 34.4 - showing 74.6 w/ no projects etc saved - though I purchased the Pro upgrade, and I'm not sure what of that is accounted for in that total - hope that helps. I really like it, especially the built in server/browser, which is how I do all my file management. I don't have Cubasis, and don't remember Ap having that feature. For me, I'm thinking it's going to make a good pair with Modstep. I am pretty impressed. Not as powerful as Auria Pro, but already on par with Cubasis, and I'd say slightly deeper in audio editing and mixing features. Surprisingly good interface! If they sort out the stability issues, it's serious competition to the big boys. The price is a steal! 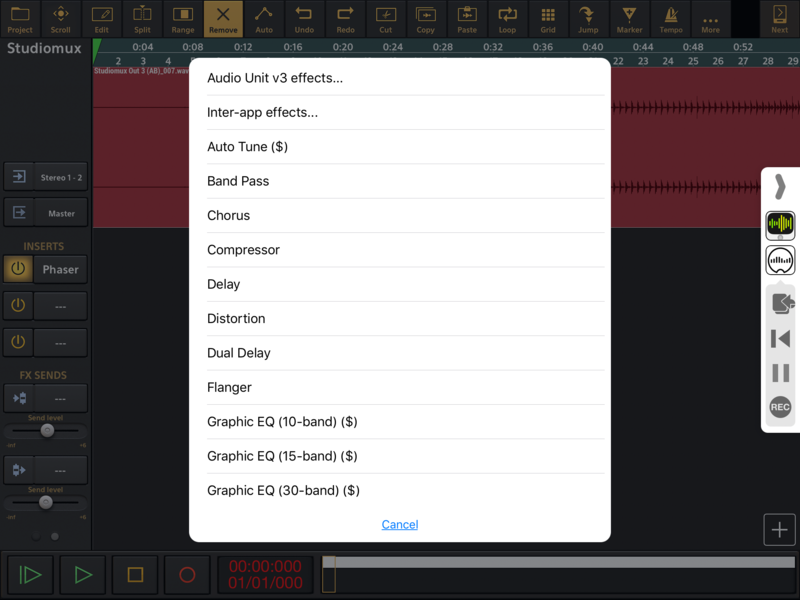 Does it allow multiple audio IAA in, (with the IAP) to receive Modsteps 8 audio outs? Feels like a beta...but good to see another DAW alternative on iPad. No one's nailed a desktop defeating balance between power and user interface yet. 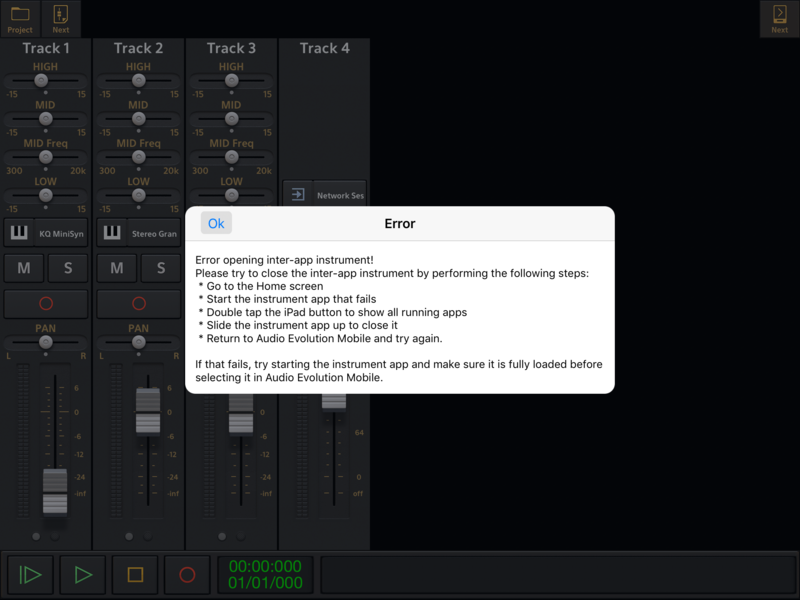 FYI- If you load one of the AEM built-in FX on a mixer channel it will crash the app upon save, or auto-save. Guess this is a known bug and will be fixed in next update. and apologies, I'm having a glitch with incorrectly logging in to this forum with the wrong credentials on one of my devices, will try and fix that today. 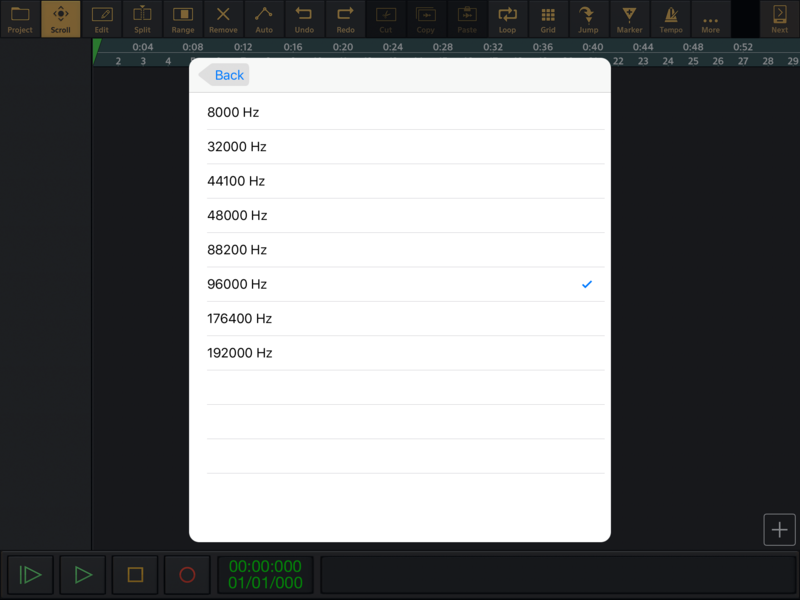 I am the main developer of Audio Evolution Mobile. I just want to say thanks for all the comments. We had (and still have I guess) a bad start with problems primarily related to technologies that aren't available on the Android version, like IAA. And aside that, just some stupid plain old bugs for which I apologize. What does not help unfortunately, is the massive amount of time it takes to get updates to the users. On Android, if we get a bug report, we can have a fix and a new version available for everyone within an hour (no kidding!). On iOS, it can easily take 5 days. We hope to get things stabilized within a week or two. Anybody who wants to help out and become a beta tester, you are more than welcome to drop us an email. Or if you just want to report a bug or have suggestions, you are of course also more than welcome to contact us or leave a message on our own forum. I'll check if I am allowed to post links here. Pretty sure posting links here are cool, you'll find many willing and experienced beta testers, and suggestion-makers in this space. Yep, great to have you here @dwrae. Congrats on getting AEM ported to iOS! I have Cubasis, but I'm definitely intrigued by this. How good are the effects? Not many posts, but a super responsive developer. You're not the first. IAA and AU seem to cause problems generally for developers. The fact that you acknowledge this (and are clearly trying to fix them) goes a long way. Or if you just want to report a bug or have suggestions, you are of course also more than welcome to contact us or leave a message on our own forum. You'd make a lot of people happy if you implemented AudioShare. It's essentially an audio document manager for IOS, which just makes it easy to import stuff from other apps, dropbox, itunes, etc - as well as export stuff to another app (if for example I wanted to master a track). 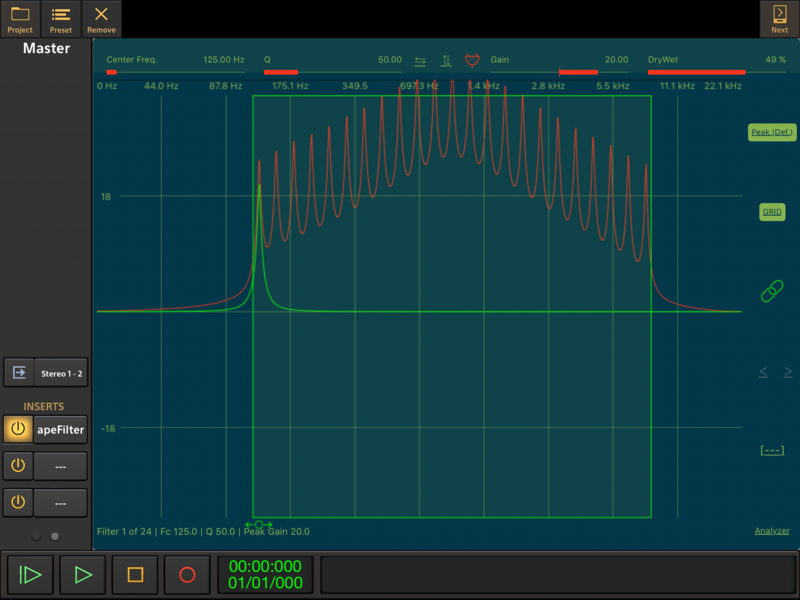 The SDK is here, it's supposed to be very easy to implement (and the developer is super responsive). 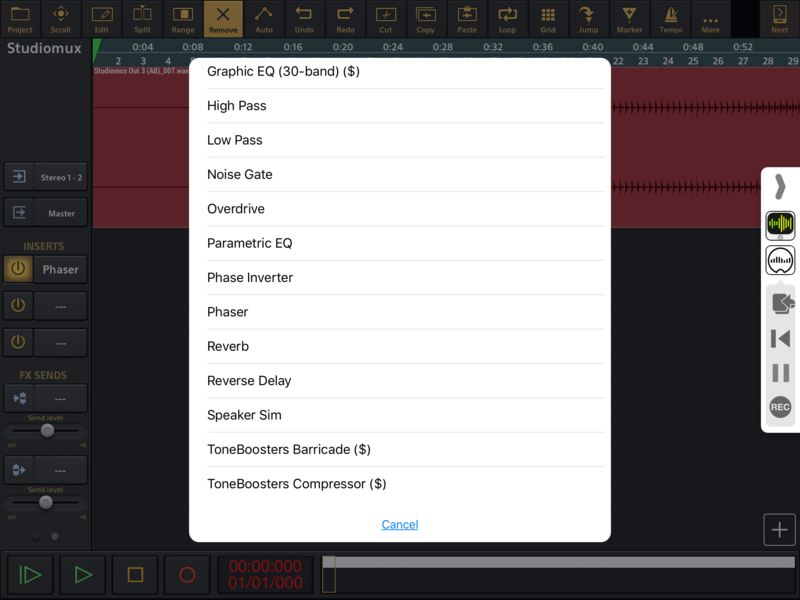 The in app purchase effects are from toneboosters.com/. Their stuff has a pretty good reputation, and the price is excellent. It also comes with AutoTune. I'm not sure what the standard FX packs are like in comparison (or what the difference is). Hi @dwrae, and welcome. 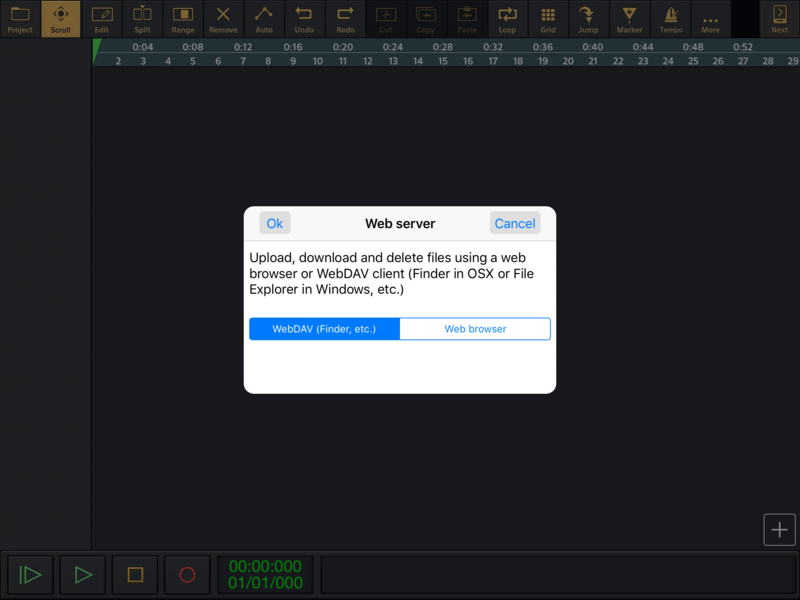 Even though I have several other iOS DAWS I tried yours because of the free version and then upgraded because I liked it and it is at a very reasonable price to go pro. I like the feature to repeat audio clips and set the number of times. I am just learning all the features and look forward to its future. I agree with @cian that audioshare would be a great feature to have on the iOS version. I second the request for AudioShare integration. That would up the ante (read: desire) for AEM considerably. It already looks to have a bright future. Nice work! Yep. Welcome @dwrae to the forum. Ableton Link would be an nice addition. Looking forward to see how your app develops. Keep up the good work mate. 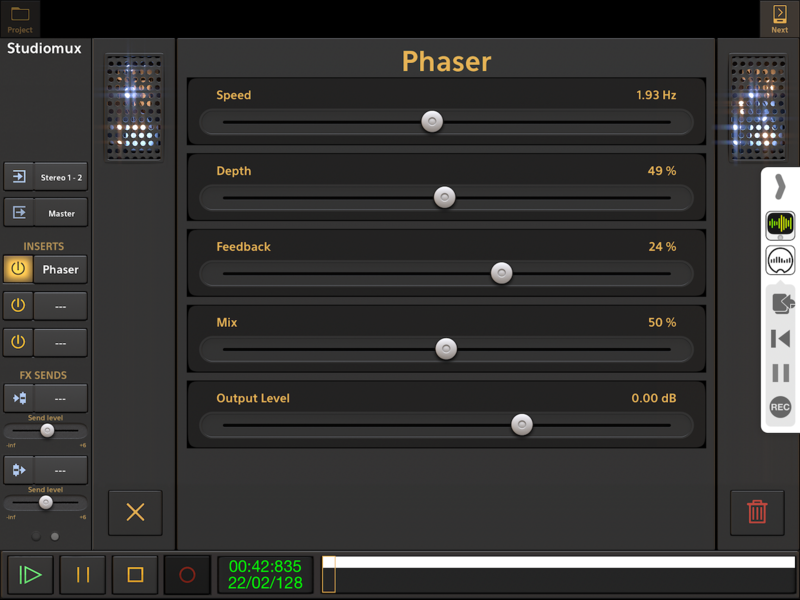 There are a bunch - I've only tried the Phaser so far, which I think sounds excellent - but would like to hear someone else weigh in. Any comment on the piano roll?